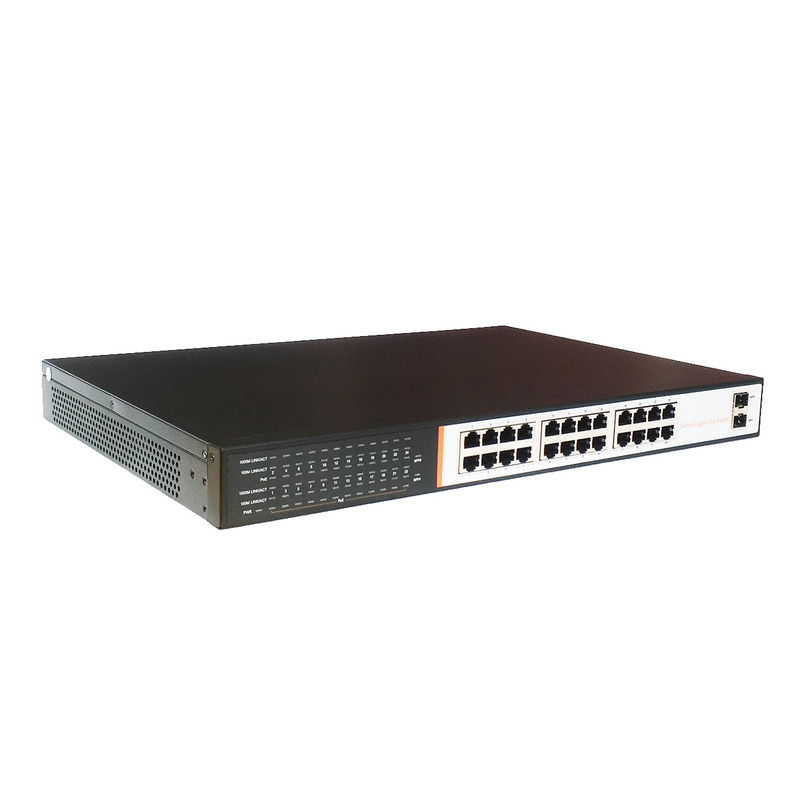 24 ports PoE+ Switch SA-PS24 with 2 Gigabit RJ45 ports and 2 Gigabit SFP ports. 24 Gigabit ports PoE Switch SA-PS24G, mount kit and power cord cable. 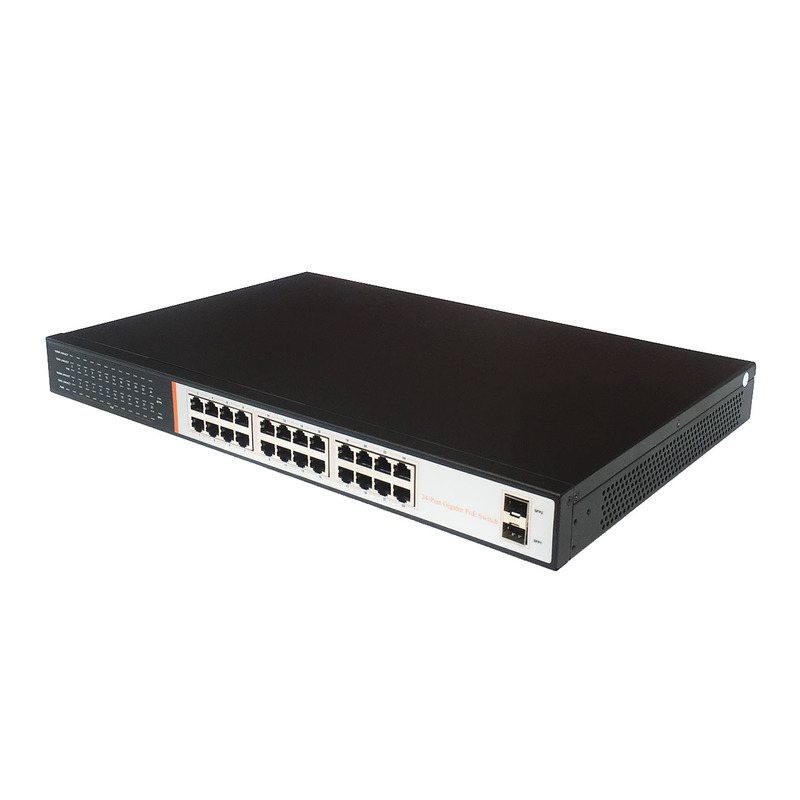 Unmanaged PoE+ Switch SA-PS24G has 24 - 10/100/1000M PoE+ ports with 2 Gigabit SFP ports. Auto detection and identification IEEE802.3af/at standard PD device and powering it by Ethernet cable. 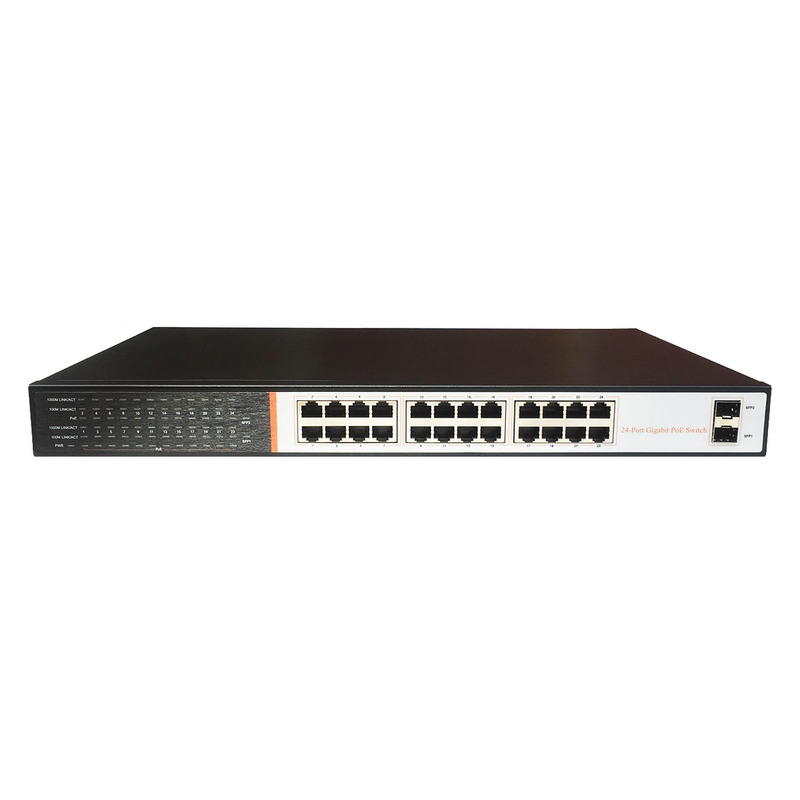 You can easily connect to our PoE Switch any PoE or Non-PoE equipment. 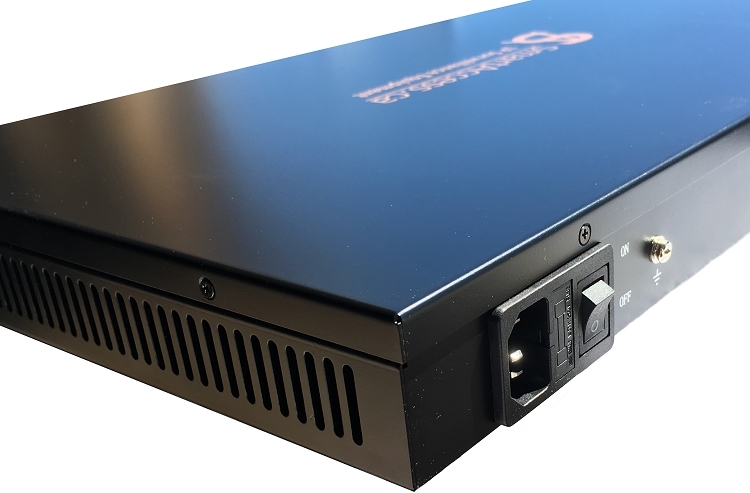 SA-PS24G is the best choice for the commercial network because it economically uses PoE deployment of wireless AP and IP cameras. 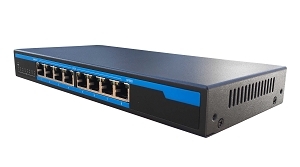 SA-PS24G can resolve the problem of maintenance tedious, wireless coverage, terminal device powered, surveillance project. 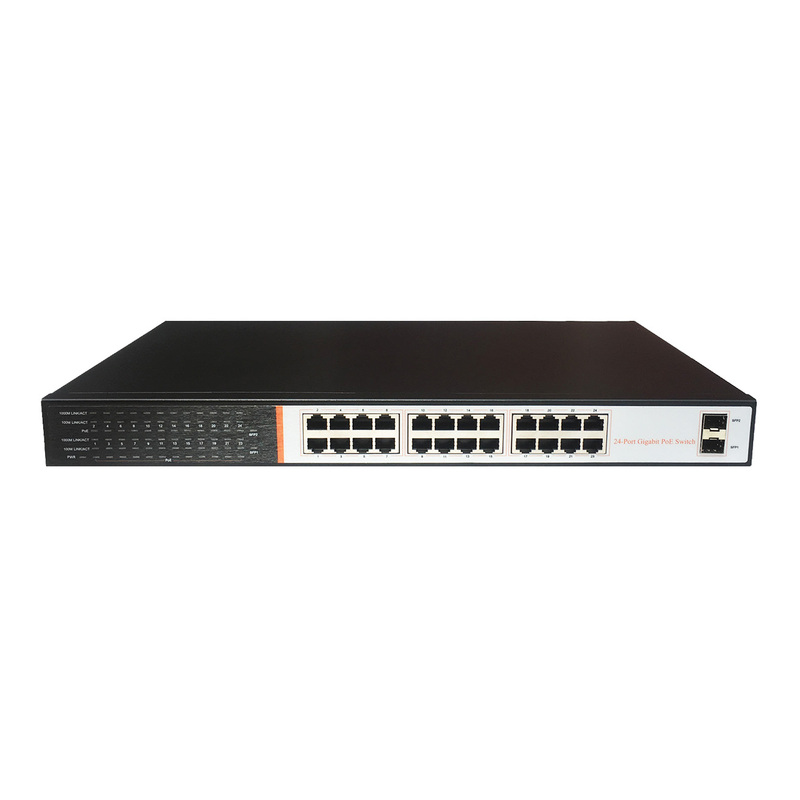 Network Port: 24 ports 10/100/1000M PoE+ RJ45 port (Adaptive MDI/MDIX ) and 2 Gigabit SFP ports. PWR PWR Indicators Red Light ON If red light off, please check whether the external power supply plug powered normal and whether the power adapter connect correctly. 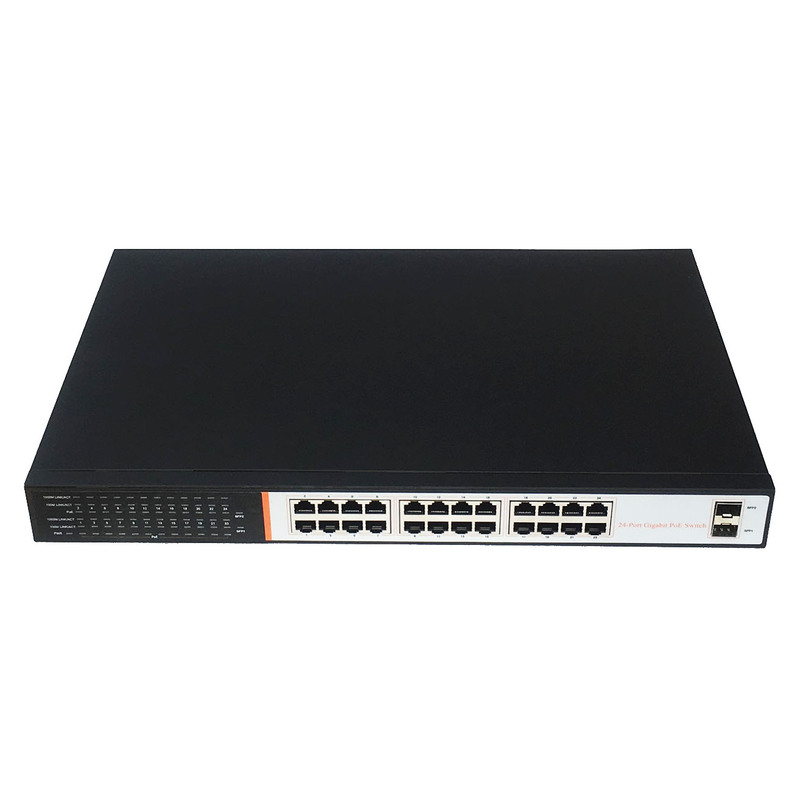 PoE PoE Indicators Red Light ON If red light off, please check whether the corresponding RJ45 access network device and the network cable connect correctly, whether the network cable is accord with Cat.5 standard (transmission distance max. 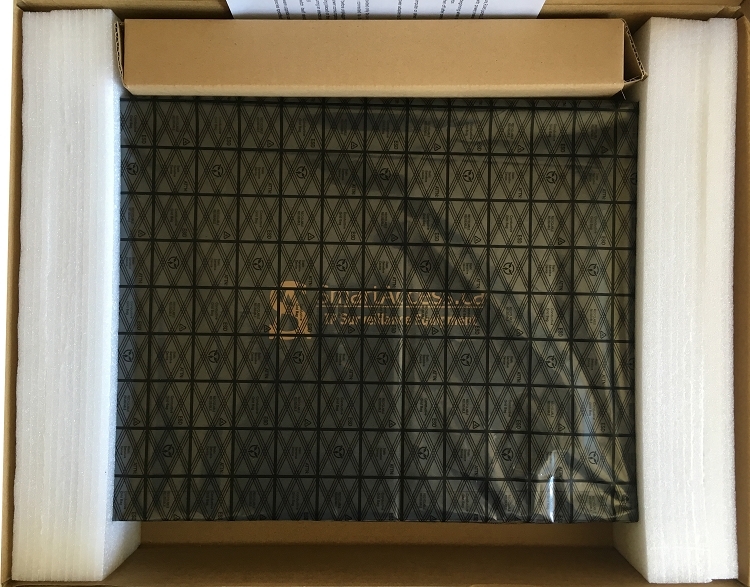 100meter), whether the network cable and network device is damaged. LINK PD Device Connection Yellow Light ON If light off, please check whether the corresponding RJ45 access network device and PoE powered normal, whether the network cable connect correctly and whether network device is damaged. ACT Network Status Indicator Green Light ON If the light condition does not accord with the network status, please check whether the corresponding RJ45 access network device and PoE powered normal, whether the network cable connect correctly and whether network device is damaged.